Georgia is a sovereign state in the Caucasus region of Eurasia. To prevent crime and create a safer living environment for its people, Georgia government requires in the national law that all the drugstores deploy a surveillance system to avoid possible crimes from illegal drug trading or dealing. Based on the law and security policy, each drugstore has to deploy three to four 3-Megapixel IP cameras around the store. The cameras are set at the corner of the store in order to gain comprehensive monitoring of the status inside and the surrounding environment. Besides, the recorded videos need to be kept for one month long. As a result, a surveillance system that could provide sufficient bandwidth for video streaming simultaneously from four IP cameras and large storage capacity for long-term video recording appears to be important in the project. Through a well-rounded comparison, Georgia government made its choice on QNAP® Security for the nation-wide scale united drugstore surveillance project. 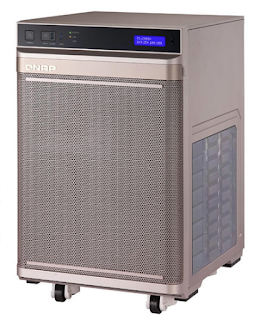 A total about 600 units of QNAP® VioStor NVR VS-2004L were deployed. The VS-2004L delivers a throughput of 28 Mbps that well supports the adequate bandwidth to ensure smooth real-time monitoring and video recording from four IP cameras. It is also an affordable NVR with 4TB large capacity which accommodates the storage demand of reserving recorded video for at least one month. In the daily operation, the feature of multi-view playback is rather useful while it enables the administrators to play the videos of the four IP cameras in the drugstore in the multi-view window simultaneously. Besides, the Intelligent Video Analysis (IVA) provides great assistance in various video analyses. For example, foreign detection effectively helps signal the detected suspicious foreign objects. At the same time, the NVR sends out an email to alert the security administrators while a suspicious object is detected, so they can take relevant actions accordingly to ensure the safety in the drugstore. QNAP® VioStor NVR VS-2004L has performed as a handy surveillance system with cost-efficiency for the drugstores around Georgia. The easy-to-use web management interface benefited the security administrators with hassle-free operations. The various event management and Intelligent Video Analysis provided advanced applications for different event scenarios, increasing surveillance management effectiveness and efficiency. The USB one-touch-copy allowed administrators to quickly copy recorded videos of the latest number of days from the NVR to external drives conveniently. 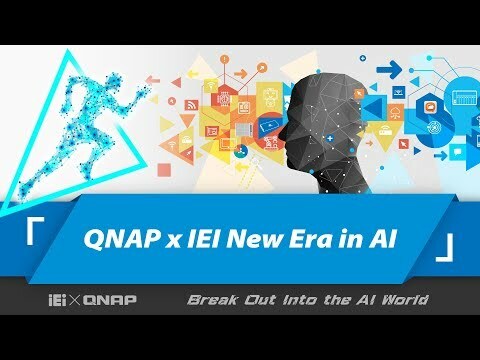 To sum up, QNAP Security solutions match for this young grow-up Georgia government' needs in affordability and flexibility to support the mission of building a secure society for its people, from achieving the goal of comprehensive surveillance for medicine selling control in this case.